Best Japanese-English dictionary out there. Lots of example sentences. An invaluable book for mastering the kanji. Required reading for all serious learners of Japanese. I haven’t used books 2 or 3 much but some people seem to like those too. Kanji study cards that accompany James Heisig’s Remembering the Kanji (above). It is definitely nice having all 2048 kanji with their readings in one set and it saves you the effort of making the cards/notes yourself. If you’re lazy like me it’s a no-brainer! Wow..I guess I have a lot of kanji-related books! This book allows you to build a strong vocabulary after using Heisig’s book. Might be hard to get outside Japan, but I also recommend the accompanying workbook. Great kanji reference. Used this so much it brings back good memories of my first stint in Japan. In this book James Heisig applies his mnemonics method to learning to read and write the Hiragana and Katakana. I found it helpful when I was starting out. Had a lot of fun with this book! Not a serious one but definitely had a lot of laughs with it. I think ‘Human Japanese’ is wonderful. Yes, I agree with you self-learning with determination is more effective. To learn good at a language is to spend time and engage in yourself in the environment, listen, speak and read whenever you can. At best is to know a friend of that country, or go there!!! Thank you for the comment Wingman! I’ve never heard of “Human Japanese” before. What is good about it? Human Japanese is not a book but more of an interactive tool for learning that can be downloaded to your smart phone or tablet. I not having a credit card only have access to the demo but through that I’ve easily been able to get through the first two writing systems and some basic vocabulary. It is written in an extremely interesting and accessible manner and seems to have a very everyone can learn Japanese attitude. If you have a smart phone it’s definitely has my recontamination, and when I get my credit working again I will be running straight back to it. What about Genki? I swear it’s the best Japanese textbook ever created to go along with its workbook. I have been learning from Genki for about 2- 3 years now and I really enjoy it. 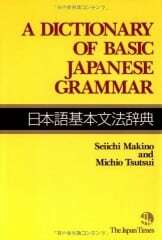 It covers from basic Japanese grammar and vocab and kanji all the way up to complicated compounds and keigo. I really enjoy it and I have been learning Japanese since about 5 years ago and it is byfar the best textbook I’ve ever used for grammar and vocab. However, if a person wanted to work a lot further on their kanji and get a good grip on onyomi and kunyomi (different readings of kanji – Japanese origin readings and Chinese origin readings) I recommend the Basic Kanji book. It teaches around 500 kanji per book and has great work book pages and teaches radicals. I find it to be my number one supplimentive pick for kanji. I was wondering if out of these books which ones do you really need? I am on a budget which books are best to start with? Thank you. Remembering the Kanji is an amazing book, I used it way back to learn the meaning of the Jouyou in about two months, and I managed to preserve above 95% accuracy for quite some time (until I stopped with my Japanese studying). It’s really a one-of-a-kind, so different and so much more efficient than other Kanji-books I’ve tried to learn from. I’d also suggest the Japanese For Busy People series (the kana versions), which I used to get started. If you go through all three books, you’ll have a strong foundation to build on, both in terms of grammar and vocabulary. do you know any places where you can Buy the books. Everyone says that all the books are good but I want to know where you can get them, other than amazon though. Thanks for commenting. We plan to review Japanese The Manga Way in the near future! The Basic Japanese Grammar (and intermediate) book and Remembering the Kana were great resources for me as well. I also found Remembering the Kanji to be great, although even after finishing it the road to truly learning kanji is a looong one. Please take a look at my website about Japanese NOVELS for Japanese learners if you get the chance. I would love feedback on it from another Japanese learner (and writer focusing on Japanese learners). Thanks! Hi Andy. Thanks for commenting! Your site looks interesting. Are those books that you have had produced yourself or are you just organizing them in a logical way for learners? Thanks for your thoughts, Kristin. And I feel like an idiot for misspelling your name before. (Also, I do remember your previous rant about the marriage issue, and I appreciated it at the time.) Oh, and one more thing, I realized a lot of my questions about your writing habit (e.g., where you sit) are answered on your page about that. I just want to know even more. I’m learning Chinese at the moment, but I hope to learn Japanese at some point in the future. If I already am learning Hanzi is it okay to skip learning Kanji or should I still study it? A fair few of the Handzi have changed or mean something different in Kanji so I wouldn’t recomend skipping it.Though you could probably get away with it if you really wanted. I have to learn Spanish and A bit of Chinese for my job, so I need good books. The best book to learn Spanish in all the lists seems to be: A Good Spanish Book! (University Academic Editions), but I am totally lost for Chinese… there are no rankings… any suggestions?